Dr. Yael Ben Tamar sat in his office overlooking the campus of Weizmann Institute of Science and poured over the Hebrew text from Isaiah in his hands. The hands were shaking. Partly from advanced age, and partly from anxiety. Things were not looking good in the north of Israel, or the Gaza border for that matter. Already salvos of rockets and missiles were raining down on The Galilee and border breaches in the south had mobilized large scale Israeli responses. In spite of Iron Dome and David’s sling, projectiles were getting through to Haifa, as well as towns in the Negev. The country, and the world, was holding its breath. According to Israeli TV and radio reports, Iranian Al Quds forces were at battalion strength in Lebanon and threatening to break into The Galilee with Hezbollah in massive numbers. IDF’s famed 7th Brigade was fighting a holding action, and awaiting full mobilization and more Merkava 4s. 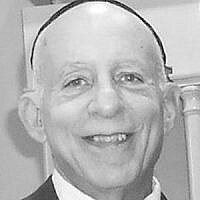 Rabbi Shlomo Sapperstein entered the office and looked at Dr. Tamar with tears in his aged eyes. “People are dying Shlomo”, Tamar stood up from his desk, “and we may have no choice”. After a moment of uneasy silence between the two old friends, they headed for the car park for the drive up to Jerusalem. “Even with the IAF effectively suppressing the launch sites, the situational projections in the north are precarious Yuli.” Baruch Doron, Israel’s Chief of Staff, pounded on the Prime Minister’s desk with white knuckles and rage on his face. “That’s enough Baruch, I get the point.” Now it was his turn to interrupt. “Right away sir” she mumbled slightly. Foreign Minister Aviva Mandelblit was no nonsense. She had successfully stood up to anti-Zionist hordes at the UN time and again, and dealt wisely with fickle Europe and the swinging fortunes with the US Congress and Liberal Administration. Following her into the plain, but business like office of the PM, were the two distinguished minds of Israel’s intellectual circle. “And women!” interjected the confident foreign minister as she strode into the room. He glanced over, nodded, and continued. “…and I don’t see the point in spending important moments entertaining a scientist and a Torah Scholar, again, no offense.” There was an uneasy silence in the small room. Yuli Adam broke the deadlock. “I know why you two have come, and now, you will all know. Please, sit down.” He motioned to Aviva and the three pensive men to take a chair. “Not now Rabbi…please, go on Yael” interjected the Prime Minister. Ignoring his chief of staff, the Prime Minister looked at the archeologist and said “continue Yael”. “NO…” The PM was livid now. I said that none of this can leave this room! And I mean it! “Or the power of the IDF with some alien secret weapon.” Baruch said under his breath. Yael continued, “ alien weapon or hand of Hashem, whatever one thinks, if it puts an end to this war, I’m for it. “Looking forward to it Yuli.” Aviva smiled. The tunnel was dark. The climb down the slope was an uncomfortable journey through rank smells, humidity, and dripping stalactites. Once in the chamber itself, flashlights were not necessary as the glow from the small crystals illuminated the walls and ceiling, about twenty meters square. Yael, Baruch, and Aviva were the only three in the party. Rabbi Sapperstein did not make the trip due to health issues but had provided a blessing for the three before the descent. Aviva said “ That’s all there is to it? No giant computers or fancy screens? “Do it Yael” Baruch bellowed. Yael slowly ran his fingertips up two of the crystals and stepped back. Captain Amir Assi had grown up in Tyre, Lebanon. All his life he wanted to prove his devotion to Allah. As a veteran of Hezbollah he had seen action in Syria against ISIS and had received much training from his great benefactors from Iran. Now he was facing the Zionist enemy with command of his own battery of rockets. For two days, he and his crew had launched deadly projectiles toward Israel, moving from spot to spot to avoid Israeli warplanes. He was one of the lucky ones, he thought. While many of his brothers had perished under the deluge of Hellfires from the IAF, he was determined to be among the first to march triumphantly into Haifa and reclaim the city. New co-ordinates, new orders. New target. As he stepped into a make-shift tent to acknowledge the radio, there was a blue light that changed to red and back again, lighting up the sky. No sound, no explosions. Just total quiet. As he stepped out of the tent, his men stood dumbfounded, looking around. It was then he noticed the missile assembly was gone. So was the truck, the mount and the array of projectiles. Just gone! Then a very strange feeling came over him. Amir noticed his side arm was gone…and the bullets clipped to his uniform. The assault rifles were gone. He and his men were completely disarmed. Quickly he got on the radio. Lots of yelling, orders. Counter orders. Total confusion. His commanders would not like this. His men were leaving, running actually. Maybe, he thought, he should run too. Back to Tyre. The scene played out all across the middle east that morning. Lebanon, Jordan, Syria, the Gaza Strip. And what was even more astounding was Iran. People awoke to find themselves not where they should be. Entire naval crews, including submarine crews, woke up on the shores of the Persian Gulf, unarmed, starring in disbelief at the green waters of a peaceful sea, wondering where their ships had gone. Nuclear engineers and workers awoke in large open pits where atomic weapons factories and reactors stood the night before. All gone. Vanished like a whisper in the wind. Al Quds soldiers and Revolutionary guard units stood alone in their underwear. Secretary of State Jack Burrows hurried to the Oval Office. It was late at night, and President Madeline Adebayo was still on her fifth cup of coffee, after being in the situation room all night watching the developments in the Middle East. “I don’t know Madam President. The war…it just…stopped.” he said pensively. Yael Ben Tamar and Rabbi Shlomo Sapperstein sat quietly together in Yael’s office at the Weizmann Institute sipping tea. The venerable academician finally broke the silence “You know my old friend, I’ve been thinking about what you said the other day in the PM’s office. As you know, I’m a scientist, and not really an observant Jew. But I can definitely see the hand of God working here. The Arabs and Iranians are disarmed, literally, and Israel is safe. But…the people of Jerusalem were safe too, at least for a while, until the Babylonians showed up. I can’t help wondering if there might be a new Sennacherib or even a Nebuchadnezzar lurking out there somewhere.” He thought quietly for a moment. “You know…something else raises a quandary. Why Jerusalem, why here? Why not London or Washington, or somewhere else? If this is as old as we think, even the Jews weren’t here yet”. They both raised their tea.